Rodney is his name and “Rodney” is the only word he knew how to write – that’s why you’ll see his name in the middle of all his paintings. Rodney loved color. He had only made pictures with crayons and coloring books for a long time. One day during creative arts time at PSI, his teacher gave him a large, blank piece of paper and a set of color markers. Rodney didn’t even want to go home until he finished his picture – and he never touched another coloring book. Rodney had a continual smile on his face when he created his work. 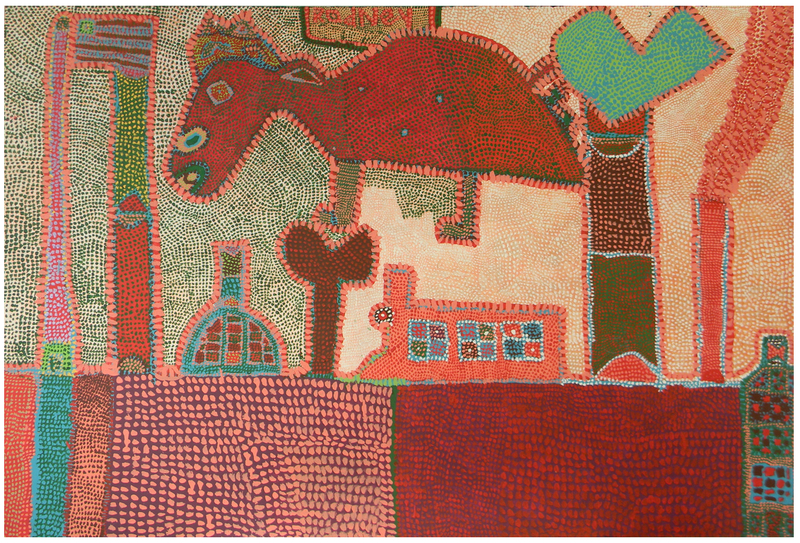 At first, he made shapes with heavy black lines and filled them in with color. We think he was recreating the feel of his coloring books. He soon learned in the PSI art classes to put his colors directly down on the canvas. 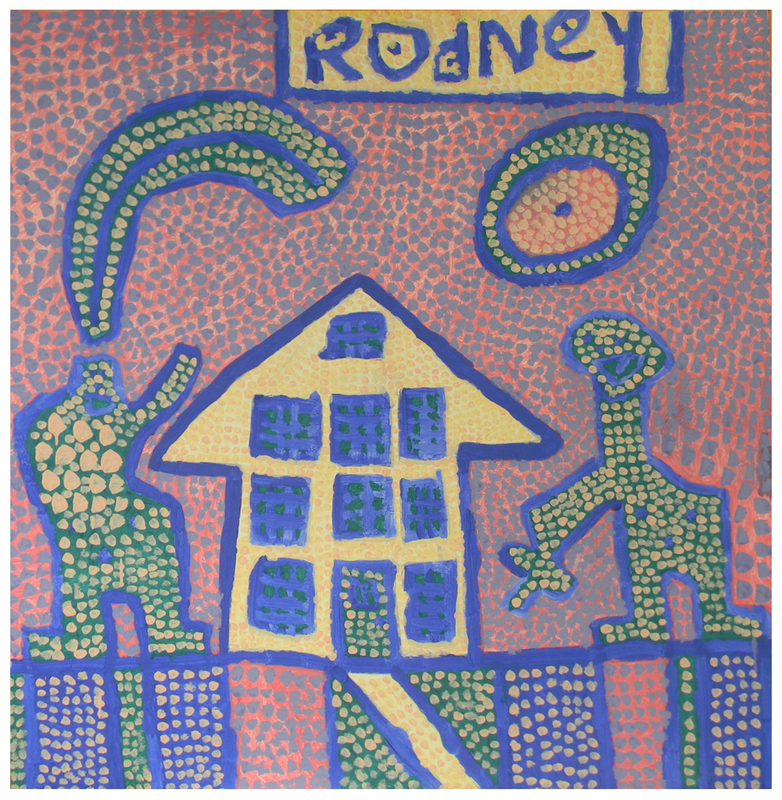 Rodney was soon making his own patterns and painted them on paper, canvas, decorative bowls, pottery, trash cans, paper mache masks, furniture, and murals. Eventually, Rodney moved on to try watercolors. He seemed to prefer the bold colors of acrylic on canvas and took great pride in calling himself an artist.